I went to visit the beautiful piano in the beautiful room, and affirmed my hunch. 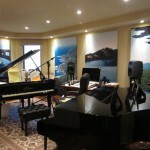 With some help from my friends at Auralex, we would place substantially sized acoustic absorption panels in the room to stop the reverberant reflection and make the piano sound as beautiful as it should, and record equally well. 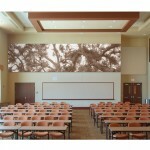 I also mentioned SonicPrint Panels, acoustic panels that can be customized with client-supplied artwork. In this case, of course, beautiful views seemed just the thing. We used Auralex SonicPrint Custom Acoustical panels printed with Barona Tribal images. Stay tuned!